A New Collection from Elegant Holidays! 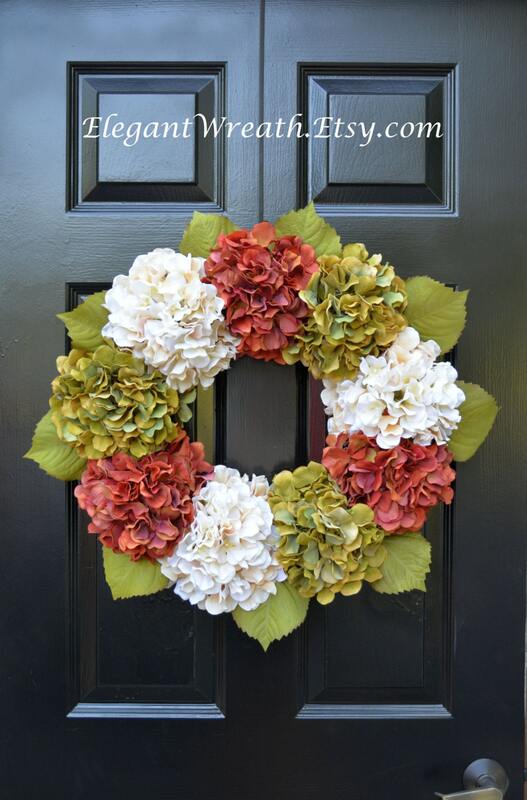 Fall Hydrangea Wreaths- We are expanding our original hydrangea design (2011) to include the fall season. 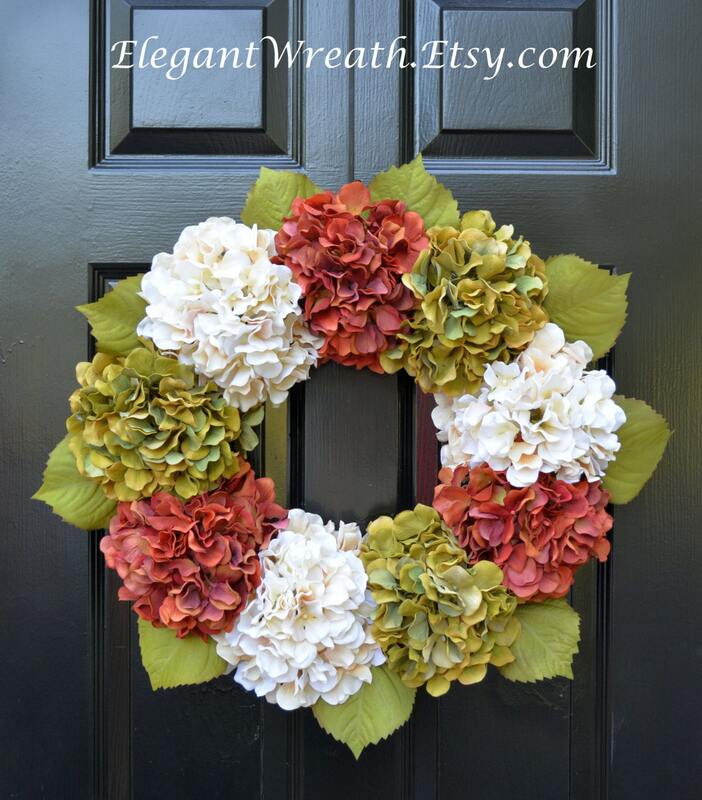 I have finally found the largest hydrangeas on Etsy to create full, high quality wreaths in many fall colors. 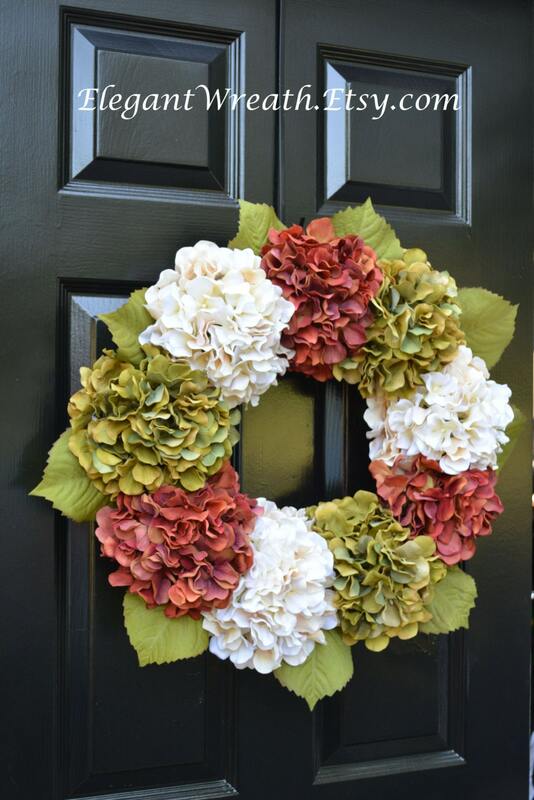 Each hydrangea flower is 7 inches wide and are available in sage, brown, cream, gold, orange and red. This hydrangea wreath is 24 inches in diameter including the leaves and 5 inches thick. Also available with 6 hydrangeas (19 inch diameter wreath). 24 inch is ready to ship and shown in orange, sage and cream hydrangeas. Stunning!